These are six things a freelance journalist rarely can afford, and so she or he would love to receive them as gifts. This summer why not treat your friendly freelancer to one of these items, any of which would make him or her very happy. 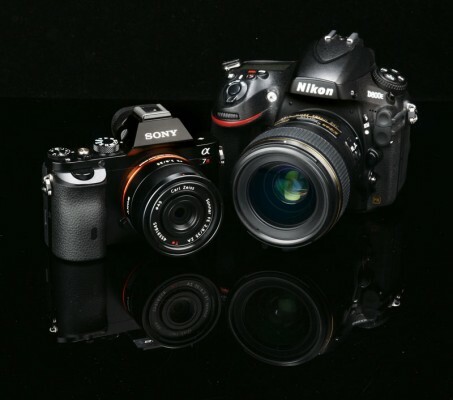 The Sony A7 II (left) is a full-frame camera like the Nikon D800 which it is pictured next to. A big selling point is its small size compared to DSLRs.